Toyota of The Shoals is excited to announce the arrival of the much-anticipated next generation of Toyota's top-selling compact SUV, the 2019 Toyota RAV4. This all-new version of the sporty RAV4 boasts a more rugged appearance and even more capability than before. Plus, in true Toyota fashion, the redesigned RAV4 comes packed with high-tech features at a surprisingly affordable price! Drivers and families from nearby Florence, Alabama and beyond are welcomed to visit our Toyota dealership to discover the new Toyota RAV4 lineup in Tuscumbia, AL. The sales staff here at Toyota of The Shoals is eager to point out all of the new features and well-equipped trim levels of the 2019 RAV4, so don't hesitate to contact us or visit us today! 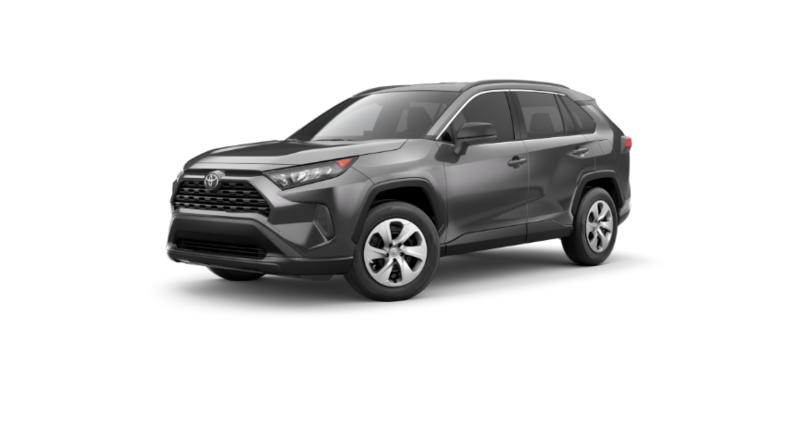 With five distinct 2019 Toyota RAV4 trim levels available plus hybrid variants arriving in 2019, right now is an ideal time to start exploring the full range of completely redesigned RAV4 models near Decatur and Athens, AL. Toyota of The Shoals is the Tuscumbia, AL area's dedicated Toyota dealer, offering lease and financing assistance plus an on-site Toyota service center for continued maintenance of your RAV4 or other Toyota model.